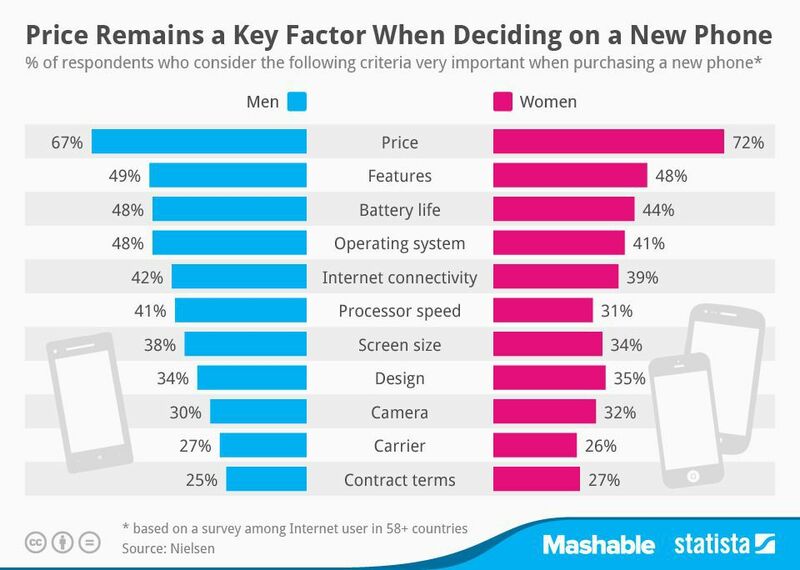 Men and Women don’t always want the same thing, but new data from Nielsen show that when it comes to purchasing a brand new smartphone the criteria both men and women look at are quiet similar to each other. A survey done to both men and women in more then 58 different countries show that Price is the most important criteria when purchasing a smartphone. After the price the most important thing for men is the technical factors of the device like the processor power, operation system, internet connectivity and battery life. Women on the other hand, don’t think processor power is an important criteria instead, Features and batter life seem to be at the top of the list.